The ongoing war among the major telecom operators across the country is getting intense by the day with everyone trying to get an upper hand in this battle. Bharti Airtel, too isn’t far behind. The telecom operator has launched a Rs 93 recharge pack which offers 1GB data, unlimited local, STD and roaming calls along with 100 SMS per day for a period of 10 days. The data pack will work on 4G, 3G and 2G network depending upon the smartphone used by the subscriber. Under the plan, a user is allowed to make 250 minutes of calls per day and 1,000 minutes weekly. If any user exceeds these limits then he/she may be charged 30 paise per minute. Additionally, customers are not allowed to make calls to more than 300 unique numbers. The new pack from Airtel directly competes with Reliance Jio’s Rs 98 plan which offers unlimited local and STD calls, 140 SMS per day, access to Jio apps and 2.1GB data(daily data cap of 0.15GB) for a period of 14 days. 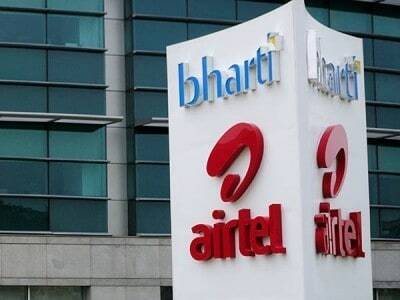 Recently, Airtel announced new plans for its subscribers. The Rs 199 plan offers 1GB 3G/4G daily data, unlimited local and STD calls, 100 SMS per day for a period of 28 days. Reliance Jio also offers the same benefits in its Rs 199 plan.